The mottled coloring of this harbor seal at Yaquina Head reminded me of our tortoiseshell cat Trixie, who I would see shortly, as this was the last day of my short trip to the coast. 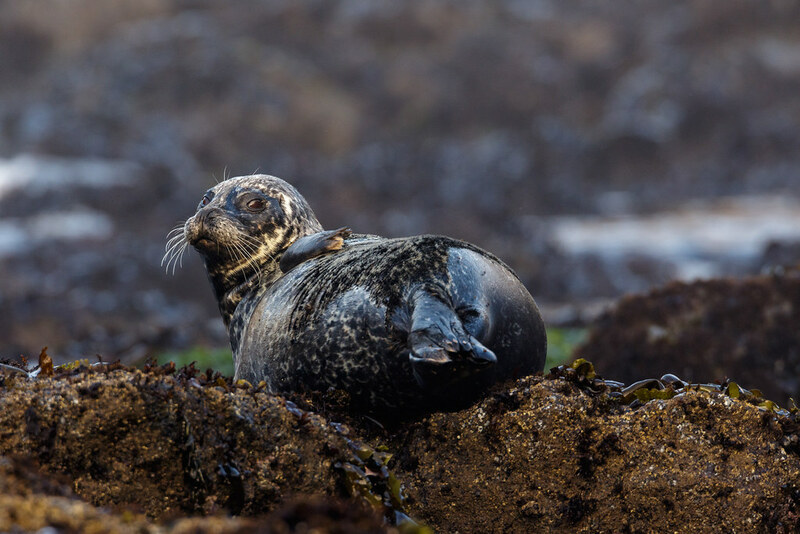 This entry was posted in Mammals and tagged Cobble Beach, harbor seal, Newport, Oregon, Oregon coast, resting, Yaquina Head Outstanding Natural Area. Bookmark the permalink.